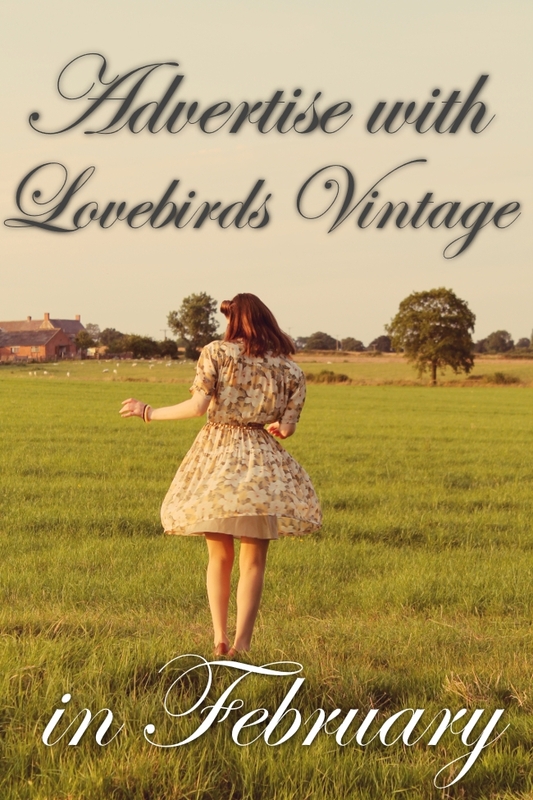 Thank you to the lovely people who placed their sidebar adverts on Lovebirds Vintage in January. If you have a blog, website, Etsy shop, or other business which you think would appeal to readers of Lovebirds Vintage, I'd like to invite you to take a look at the advertising opportunities I have available by clicking here. My current plan with Passionfruit while I test the water includes just one size of sidebar advert priced at only $3 (roughly £1.99). As with last month, I am running a small amount of ad swaps with blogs of a similar size and genre. Please get in touch via my email if you are interested. If you would like any more information or have any questions, please don't hesitate to contact me. I just submitted a request for an ad. I... may need to work on my graphic design skills a bit. It looks great, thanks so much for your kind support!